Conductor: Cat6A S/FTP stranded, 26AWG, 7*0.16, bare copper. Insulation: Polyethylene with color marking on white cores. Cable Color: blue, others colors from RAL and Pantone are available. Cable to Plug Tensile strength: 9kgsf (90n) Min. Plug housing: UL 94-V0, UL94-V2, Polycarbonate. Plug contact material: 50u gold plating over 100u nickel plated copper alloy. Fire Performance: IEC332.1, VW1, IEC332.3 versions available depending on Jacket Type. Looking for ideal 10G Shielded Copper Patch Cord Manufacturer & supplier ? We have a wide selection at great prices to help you get creative. All the 10G S/FTP Patch Cord are quality guaranteed. 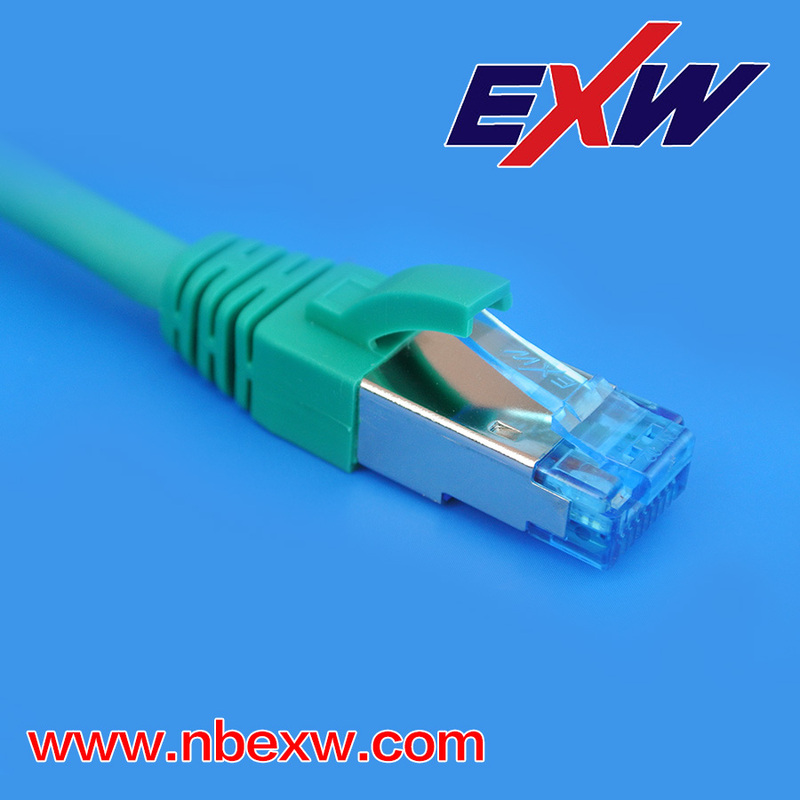 We are China Origin Factory of 10G Cat 6A Patch Cable. If you have any question, please feel free to contact us.